Update (10:20 p.m.): “Hush” is an exciting thriller from writer and director Mike Flanagan. Starring a deaf heroine who is stalked by a killer in her own home, it is filled with surprising turns as both characters play a deadly game of cat-and-mouse. Read our review here. Update (10 p.m.): After a brief round of thunderstorms, the rain has temporarily subsided. Outdoor venues like Auditorium Shores cancelled their shows while indoor venues are operating as usual. Pick an event and settle in because the city is under severe thunderstorm watch and another round of storms are predicted to head our way around 11 p.m.
Update (7:30 p.m.): T-Pain shares his life story, detailing his transition from rapper to singer during a panel Friday afternoon at the Austin Convention Center. 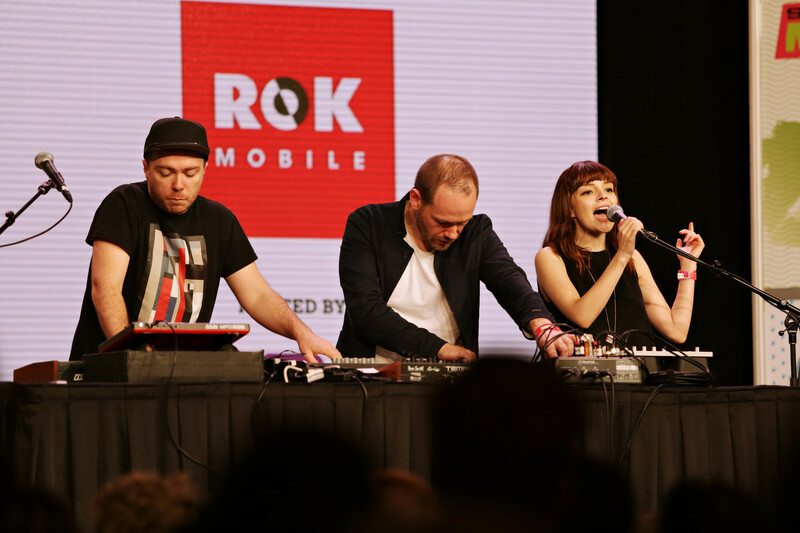 Update (2 p.m.): Scottish trio Chvrches brought a subdued, relaxed set to SXSW's Radio Day Stage this afternoon, taking cues from the overcast weather. The 30-minute set included hits "Recover" and "The Mother We Share." From end to end, the group displayed a seasoned polish earned from their rigorous touring schedule. Between songs, singer Lauren Mayberry chatted about public radio and why their music is never played in the club — it's too depressing. But that's okay — as Mayberry put it, we can dance while we're crying. Update (1 p.m.): “Pet” is an interesting new thriller that features a strong premise, but it botches the execution. Find out why it’s disappointing here. Update (12 p.m.): Good Morning South By Southwest! Pack your raincoats and umbrellas today because scattered thunderstorms are predicted to hit the Capital City around 1 p.m.